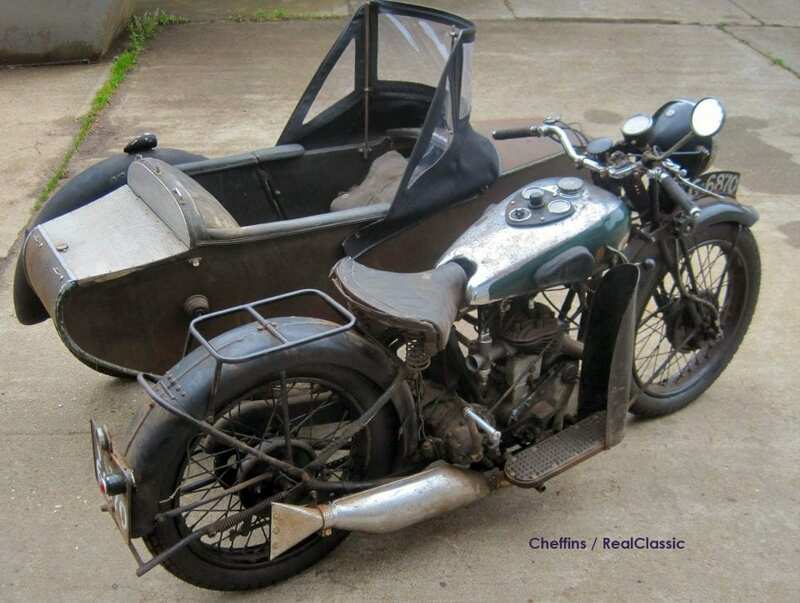 The first will be going under the hammer at the Cheffins vintage auction on Saturday 15th July 2017, at the Machinery Saleground, Sutton, Ely, Cambridgeshire, CB6 2QT. Looks like a perfect candidate for a wipe over with an oily rag, fresh petrol and away you go… What do we think it’ll sell for? Hard to say as there’s not much info available yet, but girder / rigid bikes are all the rage and barn-finds fetch big money right now. 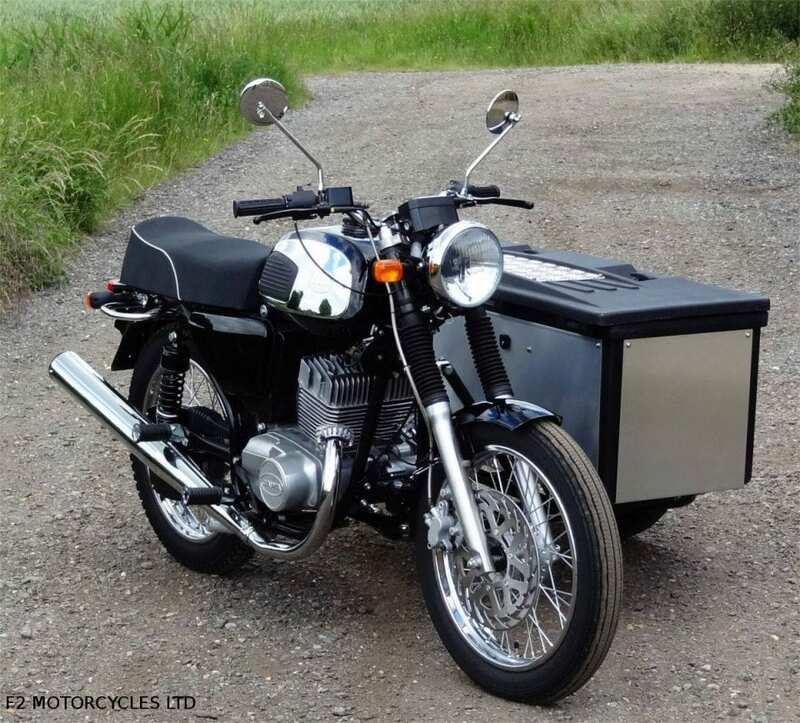 Next up, a brand-new but definitely retro Jawa 350 two-stroke, with a Velorex Cargo chair — a special build for an F2 Motorcycles customer. The four-speed, electric start twin is comfortable cruising at 50-55mph and will blitz up to 65 if you insist, with a disc brake at the front end to bring things to a controlled halt. Typical price for something similar? Around £7300. 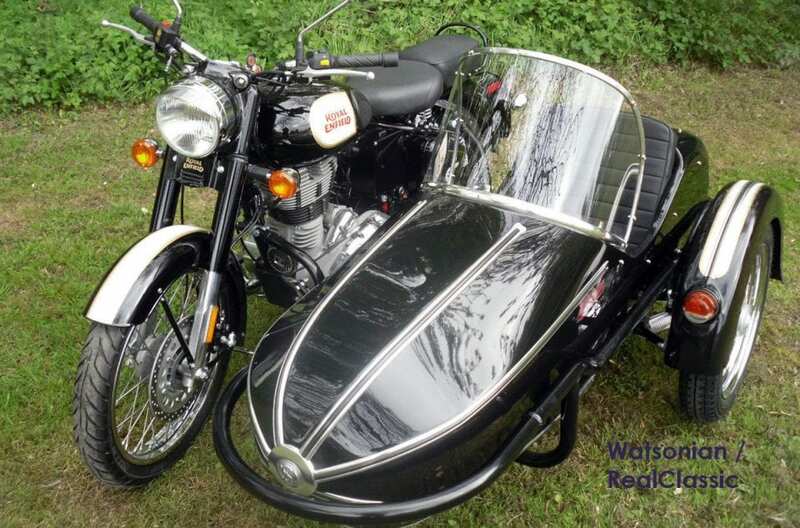 And finally, Watsonian Sidecars have matched a brand new Royal Enfield Bullet Classic with one of their British-built Manx sidecars. The 500 single is Euro 4 compliant and comes with ABS and a two-year warranty. 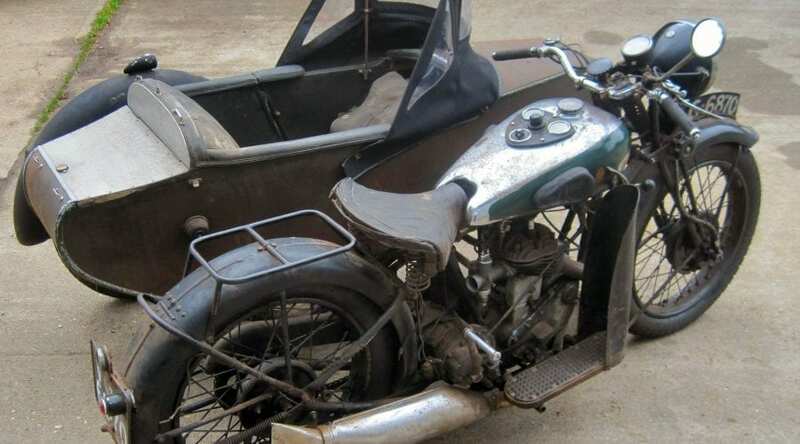 The Manx has a short chassis which makes it lighter and more compact than beefy big sidecars so it’s ideal for a sporting combination or smaller capacity machines. This outfit is on eBay right now at £9495.